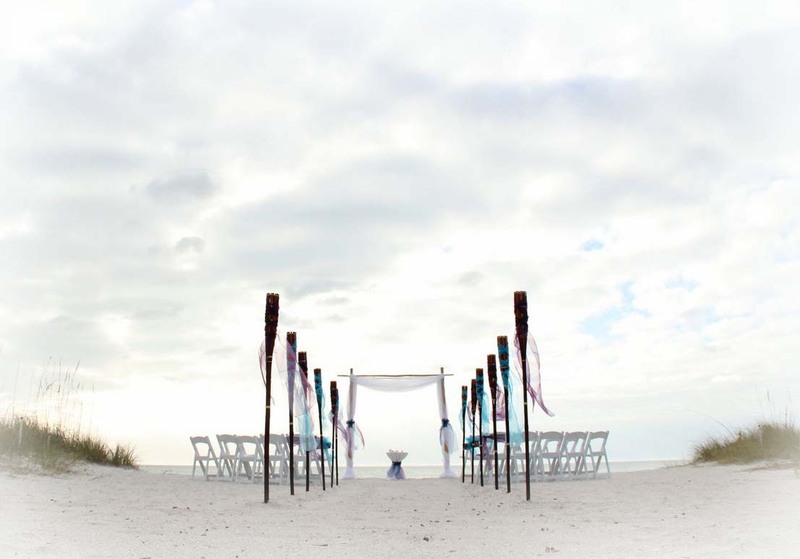 Florida beach wedding ceremonies can reflect an aspect of your heritage and your past and as the words are spoken on a sandy Florida shore, they are really all about your promises for the future. You are unique and as you celebrate your love for each other, there are many ways to make the service uniquely yours. It could be a family member playing an instrument, a reading or a song, it could be you have written your own vows or would like to enjoy a variation on the unity ceremony, involving children. As Suncoast Weddings, we’ll help plan every detail so that when your big day comes, everything can proceed as you want it to. You’ll be able to relax and savor the experience. If you are looking for inspiration, we’ve included more information about some of the ceremonies it has been our pleasure to conduct at Suncoast weddings. 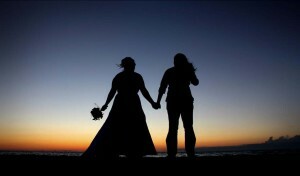 See the range of Suncoast Weddings packages and themes to inspire. 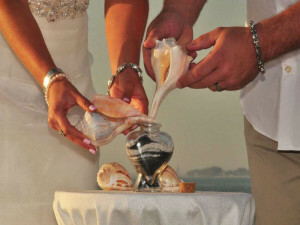 The unity sand ceremony and the blessing stones ceremony could be combined with any of the other formats. Symbolic of the two lives being joined together as one. The blending of the sand represents the union not only of the couple, but their friends and families as well. The sands, once poured into the unity vase, can never again be separated. This is the perfect opportunity to include children in your ceremony if you wish. At some point during the wedding or reception, each guest tosses a stone into the water with a blessing, wish, or prayer for the new couple. Couples can choose whether they wish the blessings to be silent or spoken aloud. 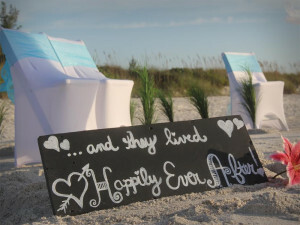 Make the most of the beach side setting to share these beautiful vows ... in part they read "Footprints in the sand are washed away, driftwood moves on its endless quest for a peaceful harbor. Only a deep and abiding love can withstand the tides of change in two lives." 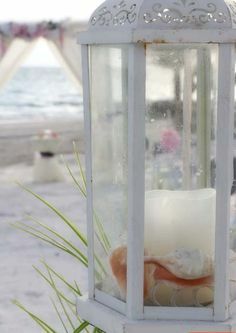 Make the most of the beach-side setting to share these beautiful vows ... in part they read "I want to grow old with you and share our lives and memories, laughter and sorrow, turbulent times and joyful moments. I will be slow to anger and quick to forgive, and never lose sight of the love and happiness we share on this our wedding day"
You may choose to use part or all of 1 Corinthians 13. The most popular verses are 4-7 ... in part they read " Love is patient, love is kind and is not jealous; love does not brag and is not arrogant,"
Thoughtful and honest, these words are sincere and begin "The little things are the big things. It is never being too old to hold hands. It is remembering to say “I love you” at least once a day." Sound advice to live by ... the passage ends "It is not only marrying the right partner, it is being the right partner"
Beautiful and deeply symbolic, these verses include in part "Now you will feel no rain,for each of you will be shelter for each other. Now you will feel no cold, for each of you will be warmth for the other. Now there will be no loneliness, for each of you will be companion to the other. Now you are two bodies, but there is only one life before you." 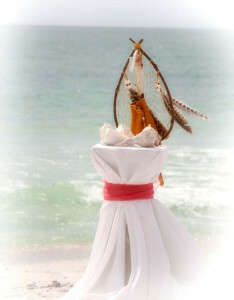 On a balmy Florida beach with Suncoast Weddings, we offer choices for your wedding blessing. 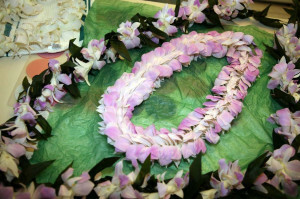 Take inspiration from this tropical blessing from Hawai’i. It begins "No gift you have to offer is more valuable than your love, so treasure it with all your heart and nurture it with care." 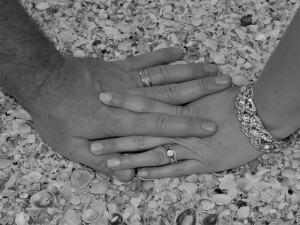 This Irish wedding blessing can be added to your ceremony bringing a touch of the Emerald Isle onto a Florida beach. 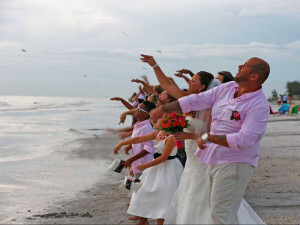 Beach weddings in Florida are our specialty! It ends "May you know nothing but Happiness from this day forward." Across the centuries and across cultures, the symbolic tying of hands is one of the oldest matrimonial traditions. 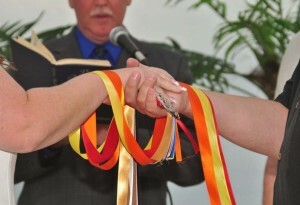 In everyday speech, we recognize “tying the knot,” “bonds of matrimony” and “hand in marriage”, all of which derive from ancient traditions of twisting the bride’s and groom’s clothing together or wrapping their wrists with braided cords, grasses or vines. 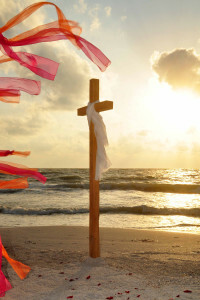 When celebrating your love, we think nothing beats the sandy Florida beach. 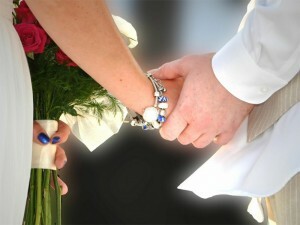 If you are looking for a commitment ceremony, look no further, let Suncoast Weddings tailor your perfect ceremony. The main difference between a wedding and a commitment ceremony is that no license is issued, and the participants’ legal status does not change. It's almost more romantic than the original wedding service! If 'Life is a box of chocolates', then a vow renewal is like adding a charm to an exquisite bracelet - the badges gathered through life's journey already marked, with plenty of space for new memories to be made! 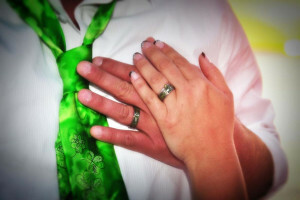 As long as your marriage license is in order, we’re here to make your dreams come true. Our record for first hearing from a couple and performing the service is three hours, although couples elope to Florida for all kinds of reasons and sometimes we have the luxury of months to plan a ‘surprise elopement’.